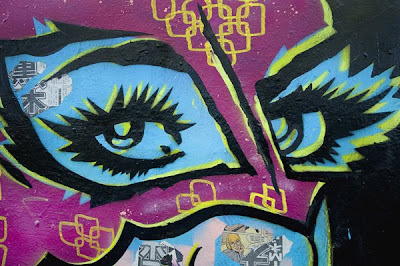 This past Saturday marked another year of the incredible Raritan River Walk Streets2k8 which bring together an amazing line-up of legendary artist. It was a great time to catch/meet back up with the Wallnuts Crew and paint along with them once again. They are all extremely talented and each member brings something incredibly unique to the table. 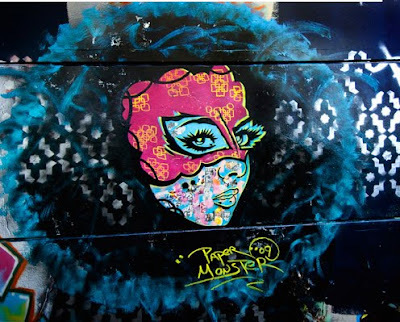 Myself and Soco painted side by side and it is great to bend and incorporate our styles to flow together. 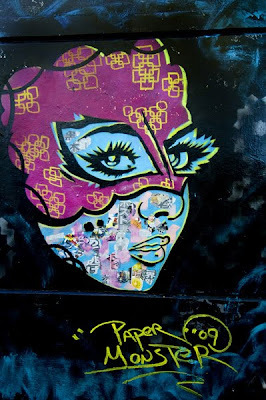 Thanks to Peter (http://albuscav.us/blog/) and everyone involved in putting together a great event!! Check out photos of the event below!! 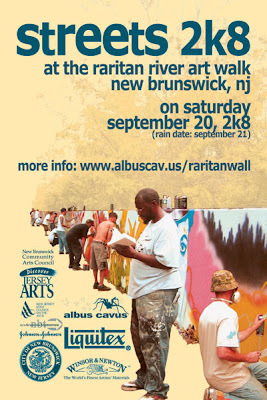 PaperMonster will be paintins a stencil art mural at this years “Streets 2k8” at the Raritan River Art Walk, New Brunswick, NJ organized by Albus Cavus. I have been chosen from over 50 artist as one of the winning sketches who will receive some gererous prices on Saturday. Be sure to catch the event and visit http://albuscav.us/blog/ for more information. Click on the flier to view larger!! 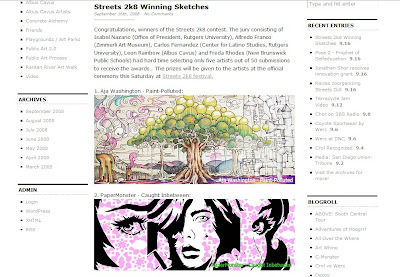 Congratulations, winners of the Streets 2k8 contest. The jury consisting of Isabel Nazario (Office of President, Rutgers University), Alfredo Franco (Zimmerli Art Museum), Carlos Fernandez (Center for Latino Studies, Rutgers University), Leon Rainbow (Albus Cavus) and Freda Rhodes (New Brunswick Public Schools) had hard time selecting only five artists out of 50 submissions to receive the awards… The prizes will be given to the artists at the official ceremony this Saturday at Streets 2k8 festival.